The Menu Incentive covers sprinkler parts purchased and installed no more than one year from the date the application is received by Idaho Power and continues indefinitely until terminated by Idaho Power. Details of this program, including but not limited to incentive amounts and levels and termination date, are subject to change without prior notice. Satisfactory proof of purchase is required. Sales receipts or invoices itemizing the sprinkler parts purchased must accompany each Menu Incentive Application. Proof of purchase must indicate the size, type, make, model or part number of each product purchased and installed, the date of purchase and identity of purchaser. Sprinkler parts must be purchased and installed before payment can be issued. Submitting an incentive application with incomplete or missing information may delay incentive processing and payment. False information may lead to cancellation of this and future Irrigation Efficiency Rewards program participation and/or a claim by Idaho Power for the return of incentives paid under the program. The incentive amount per unit will be the lesser of the incentive per unit as specified on the Menu Incentive Application or the actual amount paid unless otherwise restricted. Incentive payments will be applied first to any outstanding balance owed to Idaho Power and its affiliates. The recipient of the incentive is responsible for any tax liability imposed as a result of the payment of such incentives. Incentives greater than $600 (single and cumulative) will be reported to the IRS unless you establish exemption from taxation. An IRS W-9 form may be required. Please contact your tax professional to determine your tax liability. Idaho Power does not endorse any particular manufacturer or product. Not all specified sprinkler parts are necessary on every irrigation system. Similarly, there may be other irrigation system parts and components effective for energy efficiency. The omission of them from the Menu Incentive option does not in any way imply they also are not effective. 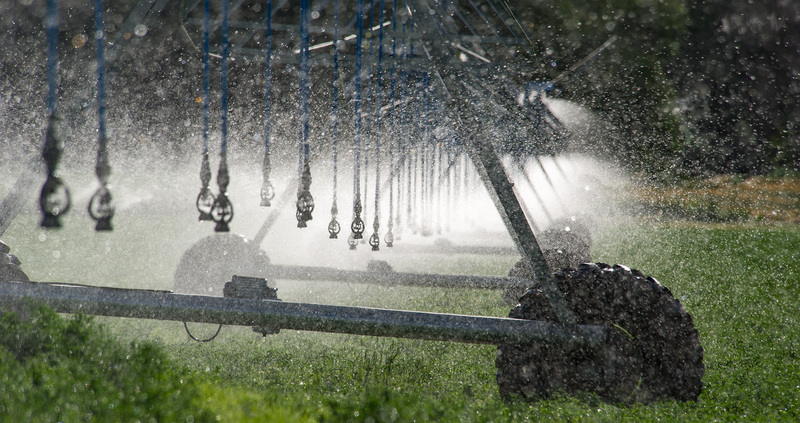 Idaho Power makes no express or implied warranties concerning the performance of irrigation systems using the specified sprinkler parts. The Authorized Applicant is responsible for ensuring the proper functioning of the sprinkler parts installed, irrigation system and the adequacy of water and power to the system. Estimated savings per unit on Menu Incentive options are based on an average system. Actual savings may vary from these estimates. The Authorized Applicant understands Idaho Power’s only responsibility to you under the Menu Incentive is to provide a portion of the cost of sprinkler parts purchased and installed by you as detailed in this brochure. Any other warranty or obligation is expressly denied. The Authorized Applicant agrees to permit Idaho Power’s employees or representatives reasonable access to the agricultural irrigation system to which any incentive application applies to verify installation and proper program participation. You, the Authorized Applicant, understand and agree that Idaho Power and/or its representatives may include a description of your agricultural irrigation system and other details relating to your participation in the Menu Incentive in its case studies, brochures, press releases, advertisements and other communications material presented to the public. Idaho law will control disputes under and enforcement of this Agreement. The Authorized Applicant expressly submits to jurisdiction in, and waives any venue conflict with, state courts in Ada County, Idaho. The Applicant expressly represents, with the intent that Idaho Power rely without independent investigation, that he/she is authorized to act for and on behalf of the customer of Idaho Power for the designated metered service point. The Authorized Applicant agrees to personally indemnify Idaho Power for any claims made or loss or damages incurred by Idaho Power as a result of Idaho Power’s reliance on the same.